Revenue Conduit has 2 ways to generate Infusionsoft Tags for Products and Store Categories (or Collections, as they're called in Shopify). Once generated and associated in Revenue Conduit's admin interface (which is explained in this article), these tags will be applied to each customer who purchases from that particular Product or Category. The two different methods are explained, below. Revenue Conduit allows you to automatically generate and associate a product or category tag each time a product is purchased. Select the checkbox for "Auto apply product tags" or/and "Auto apply category tags"
WARNING: You should NOT enable this option if you have more than 1200 Products and/or Categories in your store. Your Infusionsoft app will noticeably slow down if it has more than 2000 total tags in the system, and you want to leave plenty of room for additional tags. If you do have more than 1200 individual products, we recommend only enabling the Category tags checkbox, instead. Click Submit at the bottom of the page to save your settings. 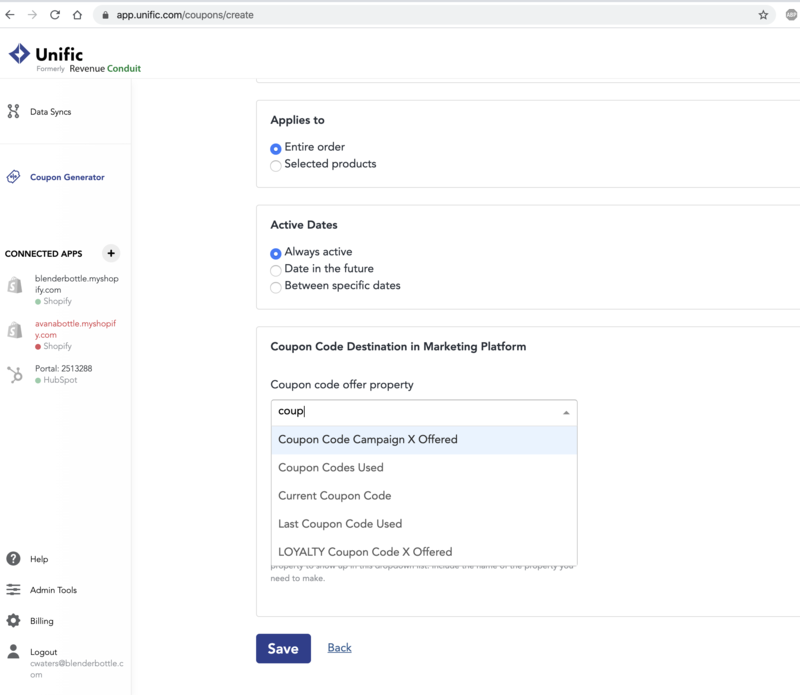 If you have too many product tags to provide valuable segmentation or you simply only want tags enabled for specific products or categories to keep your Infusionsoft account more simple, this other option will be useful for you. Often a subscriber may only want to generate tags for their Top 20 products or specific Categories/Products that they want to use in Campaign routing and triggering. 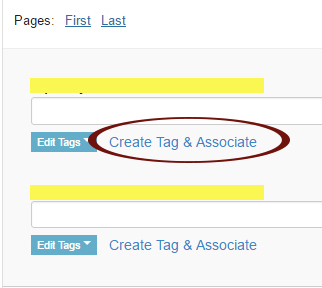 Once you've found the Product or Store Category you're searching for, click the Create Tag & Associate button for that certain product or category. NOTE: You may need to wait 1-2 minutes and refresh the page to see the tag created and associated with the Product or Category you selected. If neither of those work, please Logout of Revenue Conduit and then log back in, again. This will only apply these Infusionsoft tags for FUTURE Product and Category purchases. If you want to apply this to your history of purchases, please sign up for our free Infusionsoft Historical at this form. We generate all Product or Store Category tags in Infusionsoft using a uniform format that will contain the item's Full Name and ID's from your store. 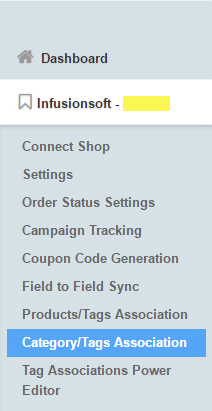 This way it makes it easy to see in Infusionsoft which Product or Store Category that the generated tag is referring to.